Short Sale Mayhem and Other Nonsense We have been active in the short sale and foreclosure market for a few years now. We've run across many stories and many circumstances, but this one takes the cake! We'll call it ... Short Sale Mayhem and Other Nonsense just to sum it up. In January, we were contacted by a homeowner who wanted to list his home for sale. He had recently received a letter from his mortgage company saying that if he short sold his house, they would pay him $2,500. This came as quite a surprise to him as he thought his home had been foreclosured on 14 months before! That's when we started to ask questions. 14 months prior, he had received a letter from the mortgage company notifying him that he had been foreclosed on and it directed him to vacate the premises immediately. Which he and his wife did. They packed up their most precious items and moved in with their daughter. They declared bankruptcy and never looked back. Never went back to their house. Never checked on it. They had been told it was no longer theirs and they took the bank at face value. Keep in mind that this was back when robo signing was in the news and many foreclosure actions were put on hold. So, imagine his surprise to receive a letter from the mortgage compnay to short sell the house 14 months later. Last winter in New England was awful. We had massive amounts of snow. A hurricane hit this area in September and in October, we had a Nor'easter that dumped snow on us before Halloween. Surprisingly, the house was in pretty good condition considering it had been neglected and vacant for so long. We listed the house for sale and contacted the person in the letter sent from the lender. We forwarded the Third Party Authorization form as directed. The lender's appraiser contacted us and we let that person in. This is when the real fun began. A week after the appraiser was at the property, we call to get the list price (as per the bank's guidelines). The case has been reassigned to another person and then it was reassigned to another person - 1 person per week. The last person acknowledged having the Third Party Authorization form in her possession. We put our lockbox on the front door with the original key from the homeowner. Another Realtor called us a week later to let us know that the bank's preservation company was at the house cutting the copper pipes out in the basement. When we checked on the house, our lockbox had been removed, the locks changed and the preservation company had kicked in the french doors to gain access to the house. We won't even talk about the items that the preservation company removed from the house! The next round of phone calls began to the lender to tell them what their preservation company did to the house. Unfortunately, they were unable to speak to us as they couldn't find the Third Party Authorization form. That took several hours of our time and we got absolutely no where. One of our phone calls had been to the negotiator - who let us know that they had a list price. That took the bank 4 weeks from the time that we let the appraiser in to the house to arrive at the list price. The negotiator told us that she would send us an email with the information. We posted on our Facebook fan page about "mass frustration with XYZ bank short sale department". Our posts are automatically posted to Twitter. We were contacted by a nice man named John whose job is related to social media complaints for the bank. We told John our tale of woe and he didn't seem to fully understand everything. What he did do was notify us that there was an email from the negotiator in the Equator System. That was the first time that someone at the bank had mentioned Equator. So, we got our list price and had 72 hours to upload the listing agreement and the MLS print out into the system. We did this; however, we couldn't access the house as we have no key. After uploading the Third Party Authorization form into the system, we thought we were free and clear to now get a key. Not so much. The bank then next required an email from the owner telling the bank to send us a key to his house so we could short sell it as the bank requested. It's been 2 days since the key was overnighted to us. The Fedex tracking system says: Feb 20, 2012 4:31 PM: Shipment information sent to Fedex. We are starting to wonder if the package was actually picked up. Short Sale Mayhem and Other Nonsense - that is how we will remember this one. It's the worst we've ever run into. Bizarro World at its best. The bank should be ashamed of themselves for how they have treated this home owner. No wonder short sales are so difficult. I think I know what BANK in AMERICA you are referring too. . .
You think that is bizarre? I was just going to say, is it the bank that's been trying to improve their image?! This story is a set back. So it's the preservation companies who are taking out the copper piping? That should be criminal. When it comes to short sales and foreclosures, NOTHING surprises me anymore! The treatment of our client and the preservation company's behavior is just appalling. We've had our share of short sale stories, but this one really bothers us. Glad you all know who we're talking about. It seems that short sales are a never ending nightmare. The latter part of your post is the saddest, shame on the bank for telling the seller to vacate, with erroneous information. I wonder if the seller has a possible lawsuit? Cutting out the copper pipes??? Why do they call it a preservation company? It sounds like burglary. We thought the preservation company's behavior was criminal. In trying to get the bank to speak with us, we mentioned that perhaps we should file a complaint with the police. They told us there was no need to get nasty. No need to get nasty? Yikes. I'm messaging you what to do about keys. I just learned it. Some of the preservation companies are replacing the front door locks without notifying listing agents. How is one suppose to sell the houses if no one can get to them???? Don't we look forward to our shortsales? Now...why is it called short....sales. That does sound like a horrible nightmare! Wow, well...lots of luck on getting this one sold (once you can get in of course). Heys guys, wow! I tell you, you really got to have a nerve of steels dealing with some banks...you stay on them, don't let them win! A story like this makes me think that the seller is quite lucky to be working with an agent who is capable and experienced to understand how to navigate such a difficult experience. Several years ago, the locks were changed on two of my short sale listings. I simply called a locksmith and had them changed again so I could show the house. Cost me a few bucks, but my thought was the bank did not yet own the house and had no right to change the locks! Another time, a preservation company came in (again, prior to foreclosure, so the bank did not own the house) and removed all the window coverings and disposed of them. When asked, they said it was for "security reasons." I guess they felt that prospective thieves could look in and see there was nothing in there to steal? The short sale was approved a week or so later and the listing agent and I agreed to pay to replace the window coverings for my buyer. When I read $2500, I thought BofA. Then you not knowing about Equator made me think Wellsfargo. Either case, they are both easy to deal with. At this point, find out how much damage the home perservation company has done and get a high contractor's bid to fix those items so you can use that number to reduce the bank's list price. Also, I would have the owner file a police report so these guys don't do this again. Fernando is correct, this looks like an easy issue! At least you didn't walk on the property and found people living in there because some guy on Craigslist leased it out to them. How about the one where the buyer's agent got a hold of the approval letter by accident and used the information to try to negotiate a better deal for his client with the seller's lender. Thank you everyone! You've given us some good advice that we plan to follow. 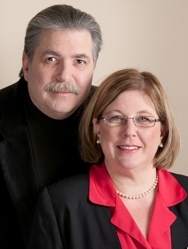 Bob & Richlle - There's plenty of nonsense to go around in the short sale arena these days. authorization at Chase. It's always lost. I have faxed or emailed 24 times. Noone at the darn place gives a care. And they think.... what's the problem? Thanks for sharing guys. And to think I decided to specialize and focus just on short sales. Yes, I must be crazy lol. We all must be! Don't forget that the bank is going to try to cut your commission too. I stay away from short sales. There is no way to deal with them and stay sane. Been down that road too often. Here is how we have handled it. We get the name of the preservation company and inform them that they were trespass as the Bank doesn't own the property. We want the key now and we want any damage repaired -NOW. Don't want to cooperate then the owner of the home will file a police report, and your name is">>>>>>>". It has never failed to work. They are trespass and they know it. The bank can come on the property and inspect the property with the owners permission or a court order of abandonment. They never get it and put these "preservation" companies at risk. Try it, they have to act within the law. The bank doesn't own the home and has no right to Trespass. Bob and Richelle, what a nightmare! I can honsetly say I haven't had any short sale experiences quite that bizarre and we handle a lot of them. I wish you success with this one! sounds like there is an awesome foreclosure defense and counter claim!! A police report with a copy of it to the servicer and to the note holder (investor) should generate some interest. If the note holder -- not just the servicer -- finds out about this kind of stuff it is more likely that there will be changes made. If there is no downside to the servicing co for ignoring this problem, then ignore it they will! Your story is, of course, bizarre. I have had issues with these so-called "preservation companies" myself. It makes me now start to wonder if those "preservation" entities shoudl have some kind of regulation, mandatory guidelines, industry-imposed procedures to follow, to prevent the frustrated agents and their seller and buyers from gaining access to the property as needed. And the removal of materials/items from the house? Sounds like thievery to me. The street value of copper is well known, for example. Short Sales.. BofA .. mightmare! all go hand in hand.. Stay on it Bob and Richelle good job! We all have our own special Short Sale stories but this is one of the tops. Good Luck. You certainly have a lot of issues with this short sale but the Preservation Company sticks out. I know that time is money and that you "should" just let it go but if you wanted to make a point, it might be worthwhile contacting your local TV news station. Something this crazy should be investigated and brought to the attention of the masses. "Preservation" hell. This is just theft and destruction. Call the police!! Yep, I agree with Ric and others above, this isn't the bank's property, it still belongs to the owners. Let the bank and preservation company know that police action is going to happen, someone stole the copper plumbing and changed locks on your client's house, should get something done. I've dome some short sales but I haven't heard of anything like this happening in my area, that's just insane for them to do that. Why would they cut the copper out? Don't the theives usually do that first? Great story. I am sure the same story has happened many times to many agents. Pretty sad really.. I don't know what to say. I think people working at the banks are people that are too stupid to get government jobs! I went to show a short sale listing last month and when I showed up there was no lockbox with keys. I called the listing agent and it turns out that the bank had done the same thing - showed up earlier that day, broke in the door, and changed the locks. Over a month later and the listing agent still didn't have the keys. Can anyone explain how it's legal for a bank to break in and change locks of a property it doesn't even own? Hi Bob and Richelle, I guess you could call "short sale and mayhem" a non-oxymoron! Is there a short sale that is not mayhem? Wow! We just can't over the response from our Active Rainers. We're glad to hear that we're not the only ones who have had to deal with the bank and preservation company's nonsense. You've also offered us good advice and truly appreciate it. Thanks! These stories are so sad and seem so preventable. The poor seller, too, who is already going through the stress of doing a short sale. Way to keep working for your client!! That sounds a lot like just about every short sale I've done in the last year. 3-4 years ago they were awful and took forever, 1-2 years ago it seemed like they had the kinks worked out and we were closing short sales left and right, the last year it seems like things have gotten worse, and we go round and round and round, submitting the same documents over and over, only to have them expire because the bank takes 90 days to even review it. It's maddening, but since it seems like the majority of the market, we have no choice but to try and play the game.